publishes peer-reviewed information on the diagnosis and management of specific disorders of the skin, as well as the application of the latest scientific findings to patient care. Acne and rosacea are common conditions seen every day by dermatologists. This review will discuss the most recent therapeutic options for patients with these conditions. Specifically, for acne, there will be a discussion of the use of isotretinoin at higher cumulative doses as well as a new formulation of isotretinoin, isotretinoin-lidose. 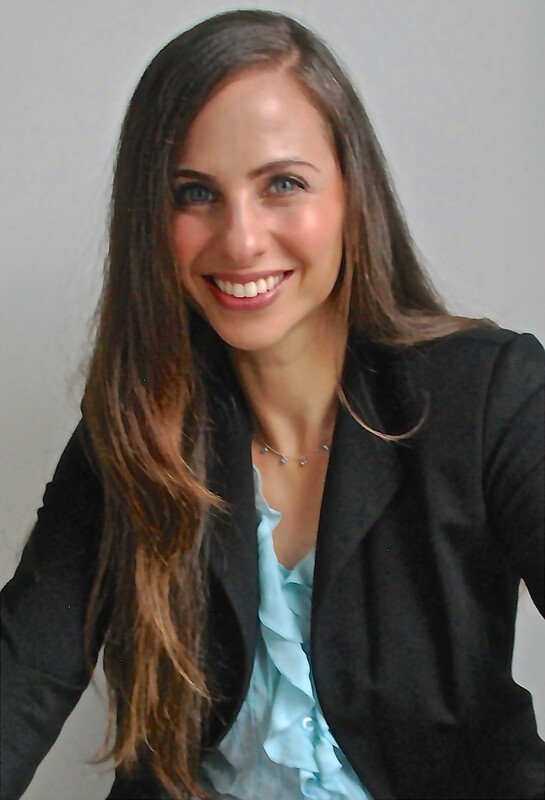 Adult women with acne represent a growing population of patients who present for treatment of acne; the use of hormonal therapies as well as topical dapsone gel will be reviewed for these patients. For rosacea patients, the new topical agents – brimonidine gel and ivermectin cream – will be reviewed, with a discussion on possible rebound phenomenon from brimonidine. Finally, future treatments in the pipeline will be discussed. Medical imaging has dramatically transformed the practice of medicine, especially the field of dermatology. Imaging is used to facilitate the transfer of information between providers, document cutaneous disease, assess response to therapy, and plays a crucial role in monitoring and diagnosing skin cancer. Advancements in imaging technology and overall improved quality of imaging have augmented the utility of photography. We provide an overview of current imaging technologies used in dermatology with a focus on their role in skin cancer diagnosis. Future technologies include three-dimensional, total-body photography, mobile smartphone applications, and computerassisted diagnostic devices. With these advancements, we are better equipped to capture and monitor skin conditions longitudinally and achieve improved diagnostic accuracy of skin cancer. 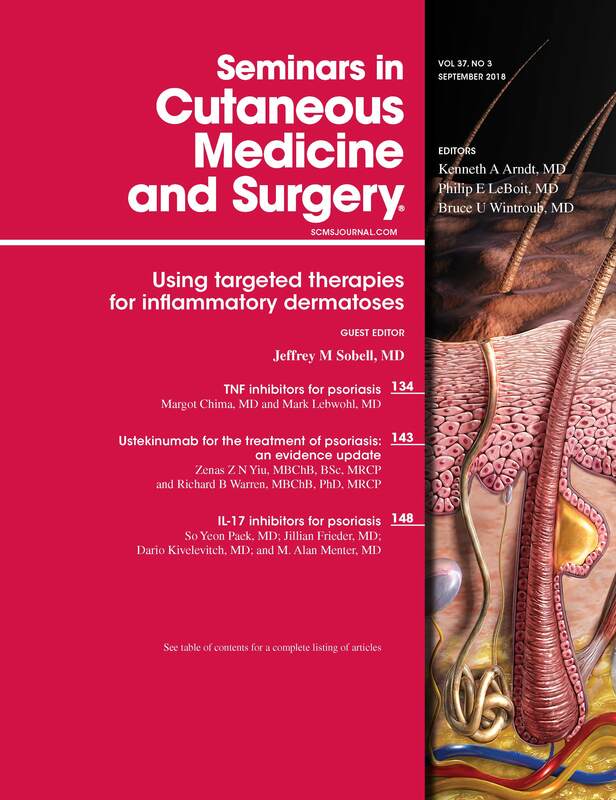 Seminars in Cutaneous Medicine and Surgery presents well-rounded and authoritative discussions of important clinical areas, especially those undergoing rapid change in the specialty. 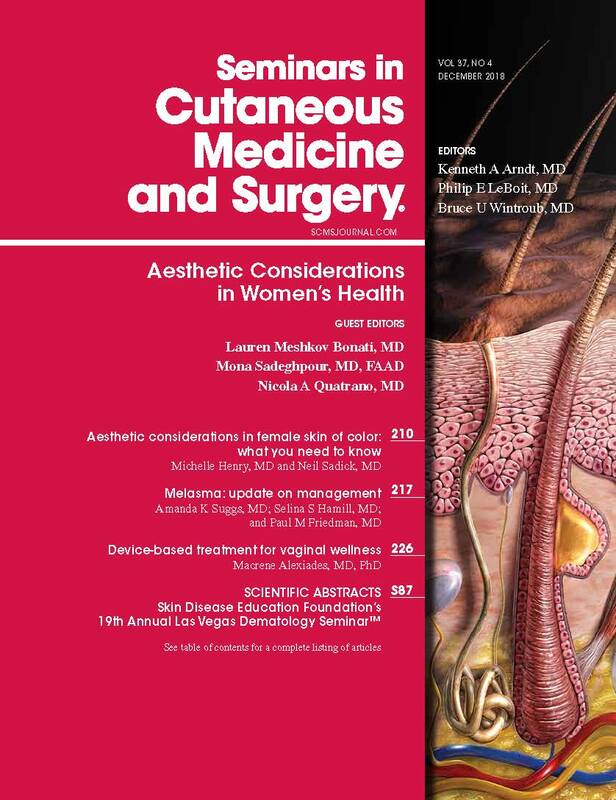 Each issue, under the direction of the Editors and Guest Editors selected because of their expertise in the subject area, includes the most current information on the diagnosis and management of specific disorders of the skin, as well as the application of the latest scientific findings to patient care.